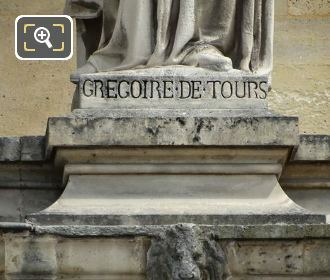 This time these high definition photos show the statue on the Palais du Louvre that is dedicated to Gregoire de Tours, and this is located on the Aile Turgot within the Cour Napoleon in the 1st Arrondissement of Paris. This particular statue is situated on the first level of statues on the Aile Turgot and is the very first named statue next to the Pavillon Turgot, which is situated on the corner between the Cour du Carrousel and the Cour Napoleon, and was produced by Jean Marcellin. 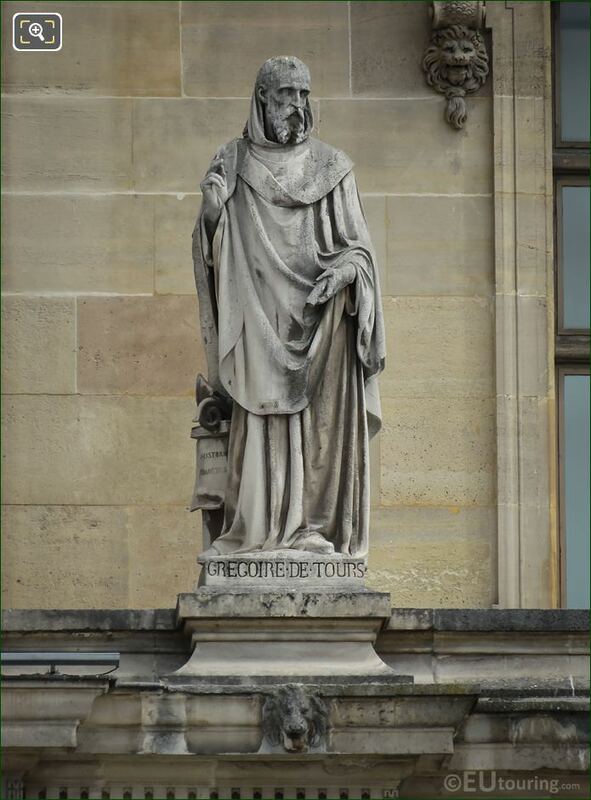 Now Jean Esprit Marcellin was born in 1821 in Gap within the Alps and he was provided financial support by the town to study sculpture in Paris, and studying plus working for famous artists such as Francois Rude, he became a successful French sculptor being awarded the Legion of Honour in 1862, and he passed away in Paris in 1884. 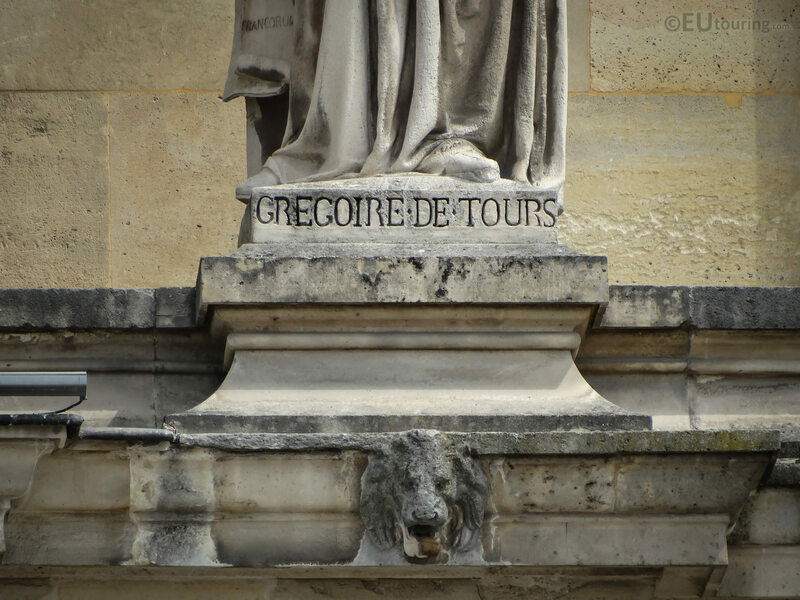 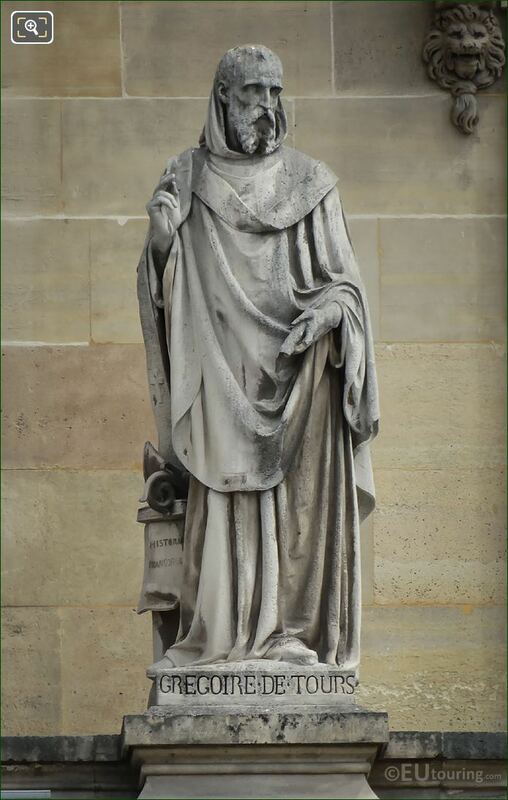 And in this last HD photo showing the base of the statue, which was sculpted in the early 1850s, you can see that this is dedicated to Gregoire de Tours, also referred to as Saint Gregory of Tours, who was born in 539 and was Bishop of Tours, a historian of the Church and The Franks and a writer.